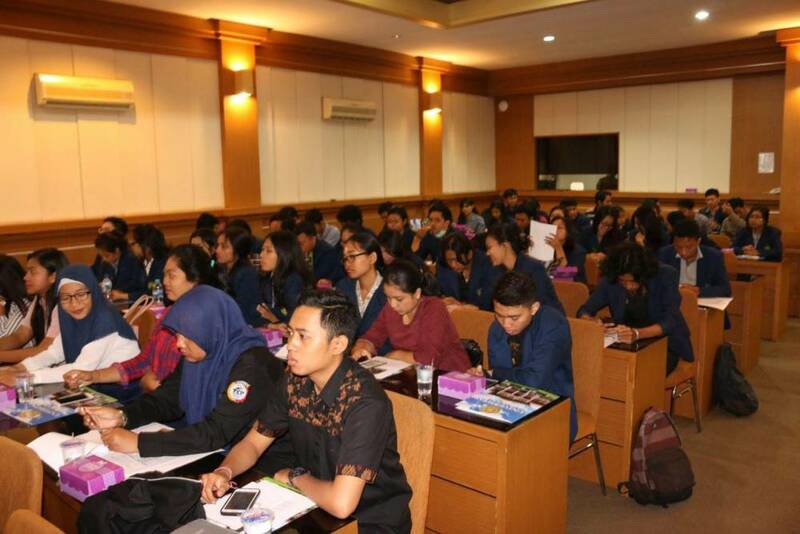 Denpasar - Saturday, (30/06/2018), Udayana University Student Affairs Bureau conducts Student Management Skill Exercise (LKMM) and Soft Skill for Students at Postgraduate Hall Room of Sudirman Campus, Denpasar. This activity is aimed to improve students' ability especially in Leadership and Soft Skill field. The event which was participated by student representatives of each faculty of Unud and DPM was opened by Vice Rector for Student Affairs, Prof. Dr. Ir. 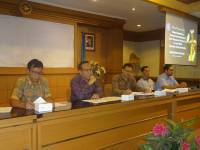 I Made Sudarma, MS, by presenting the speakers Prof. Dr. 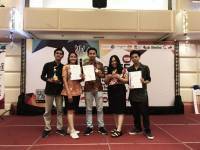 I Nengah Dasi Astawa, M.Si who gave a paper with the topic "Leading with the Way of Love" and Kadek Eka Citrawati, ST with topic "Tips to Successful Young Entrepreneurs". I Dewa Gde Oka, SE as the Head of Student Affairs Bureau convey this activity is a program of Student Affairs Bureau, with the theme in accordance with the pattern of Udayana University Student Affairs development. This activity is also implemented in order to integrate the learning process with kokurikuler and intrakurikuler activities so that there is a balance between hard skills and soft skills of students. The balance is expected to grow young people with strong character, superior, independent, and cultured. The participants who participated in this event consisted of 12 faculty representatives, 12 representatives from BEM and 12 representatives from DPM. Head of Bureau appreciate the spirit of students to follow this activity whose output is increasing soft skill of students especially in the field of leadership.